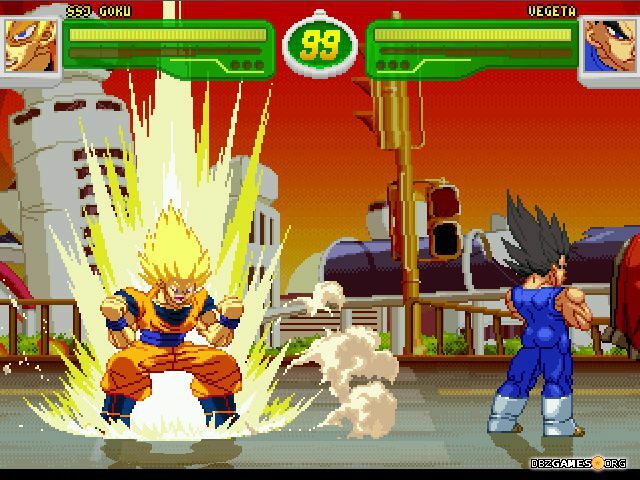 Hyper Dragon Ball Z is a classic fighting game designed in the style of Capcom titles from the 90s. 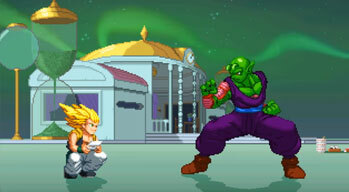 The game is created by Team Z2 consisting of many ultra-talented people who develop the game in their free time. 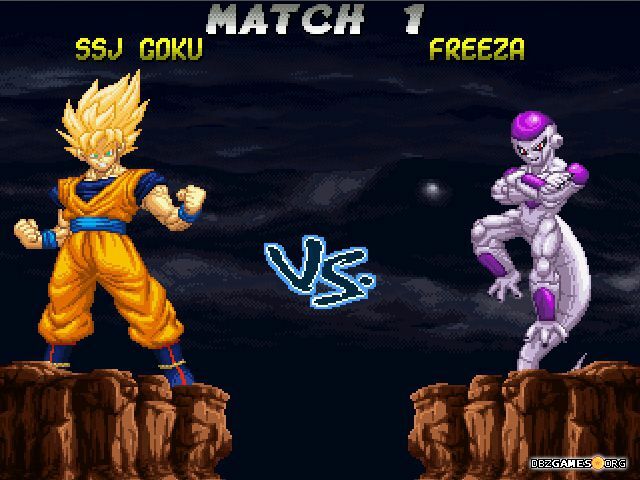 Unlike other Dragon Ball fan projects, Hyper Dragon Ball Z doesn't use sprites from commercial video games. 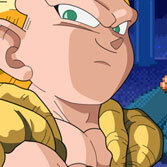 Each character, stage and song was created exclusively for the game, as in the official titles. 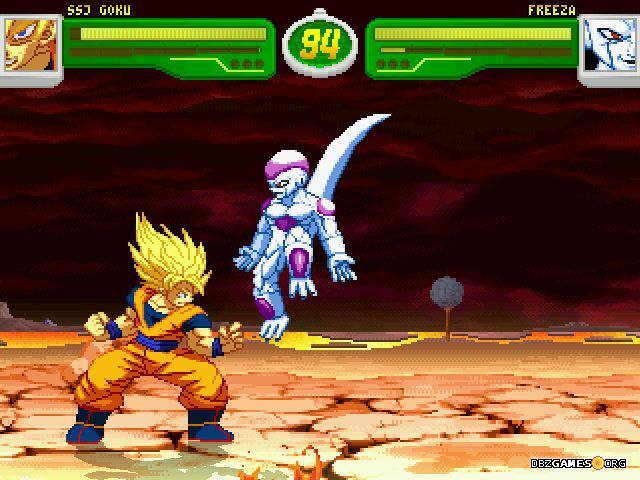 It's also the only Dragon Ball fan game that in the past has reached popularity comparable to some games published by Bandai Namco. 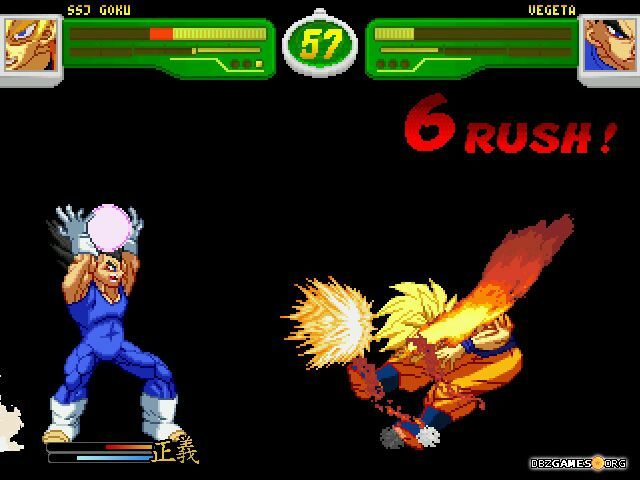 If you've played other Mugen games before, all of the game modes available here will look familiar. 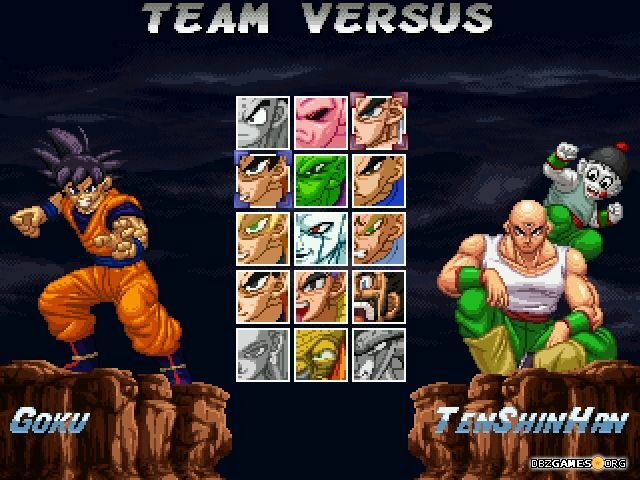 You can play in the classic Arcade mode in which you have to beat randomly selected opponents or test your skills in the fight against your friend in VS mode. 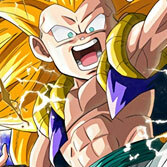 The game also allows playing in two-person teams, however, the developers warn that the combat system was not designed for 2-versus-2 clashes. Anyway, these modes can give a lot of fun especially when playing with friend. For those who enter in the brutal world of classic fighting games for the first time, we recommend to start from Training mode where you can safely practice the moves of all characters and prepare for the challenges that await you in the other game modes. The creators took care of a detailed guide in which you'll find a full moveset with explanations - you can find it here or in the game folder. 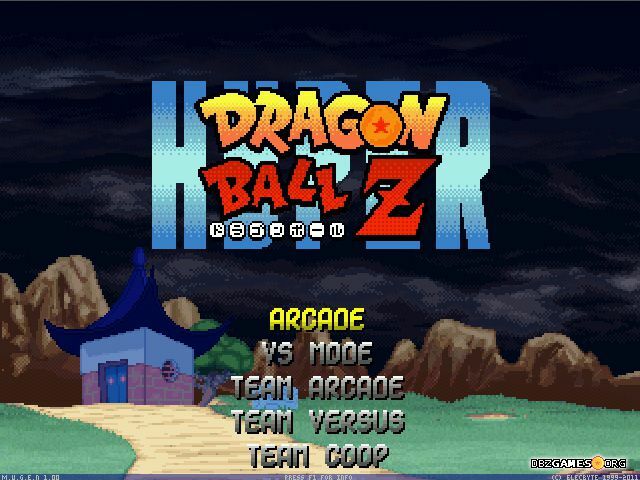 It'll be very helpful especially for inexperienced players, as Hyper Dragon Ball Z is quite difficult. 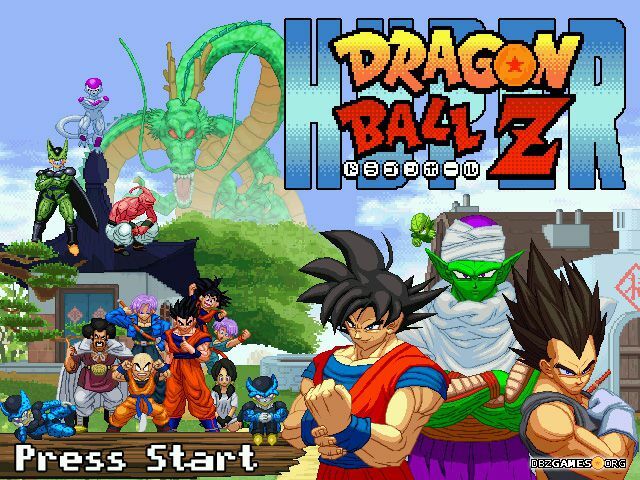 At the moment, Hyper Dragon Ball Z includes 12 playable characters. 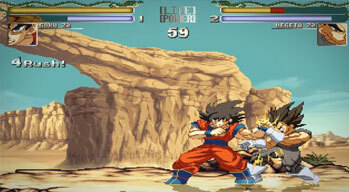 Each of them has its own unique gameplay and mechanics and each has been designed and balanced at the highest level. Regardless of what style of gameplay you prefer, you'll surely find a character who will provide it to you. 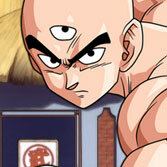 Each character has many quotes and mini scenes both before and after the fight. Each character also has both English and Japanese dubbing (you can change it in the game's settings file). In addition to great characters, you'll find here also many beautifully designed and animated stages. Working on new content for the game is very time-consuming because the creators are perfectionists. For this reason, new characters are released average twice a year. 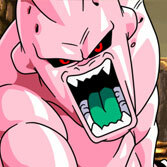 Thanks to this, we can be sure that in a few years the Hyper Dragon Ball Z can be only better. 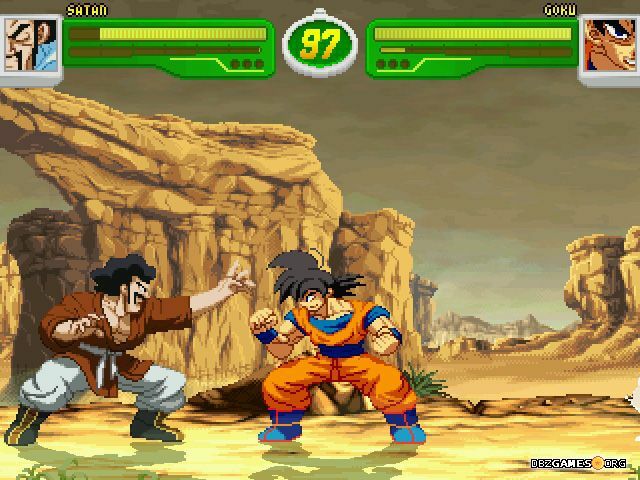 The game is must have for all Dragon Ball and fighting games fans. Check HDBZ information & movelist READ folder for full movelist and tips how to play more effectively.